Catch New SAILOR MOON Dubbed And SAILOR MOON CRYSTAL Subtitled Episodes, NARUTO SHIPPUDEN Simulcast Premieres, And Latest Updates For BLEACH, NARUTO And RANMA ½!! VIZ Media moves into December and prepares to round out the year with its latest digital anime content update for Neon Alley. The free digital streaming platform experienced significant growth and programming expansion in 2014 and is preparing several noteworthy content and series premiere announcements for 2015. New episodes of widely loved series such as BLEACH, NARUTO and NARUTO SHIPPUDEN, RANMA ½, and SAILOR MOON and SAILOR MOON CRYSTAL figure prominently in December’s programming update. These augment the Thanksgiving debut of the full series of COPPELION (dub) and the world premiere of the first 13 dubbed episodes of NARUTO SPIN-OFF: ROCK LEE AND HIS NINJA PALS. Catch the exciting digital continuation of SAILOR MOON with the English dubbed premiere of Episodes 37-46, available to stream beginning on December 6th for a limited time on Neon Alley and Hulu. Two new subtitled episodes of SAILOR MOON Season 2 will be added to the current series library every Monday throughout December. SAILOR MOON CRYSTAL fans also will not want to miss brand new episodes of SAILOR MOON CRYSTAL throughout December. SAILOR MOON CRYSTAL subtitled Episode 11, “Reunion – Endymion,” premieres on December 6th, followed by Episode 12, “Enemy – Queen Metalia,” on December 20th. · Neon Alley adds English dubbed BLEACH Season 18 Episodes 256-267 available to stream beginning on December 1st. · Viewers can now check out a total of 267 English dubbed episodes, as well as the complete subtitled BLEACH anime (366 episodes). · For ninja fans, Neon Alley adds dubbed Episodes 66-78 of the original NARUTO anime series, which will all be available beginning on December 3rd. 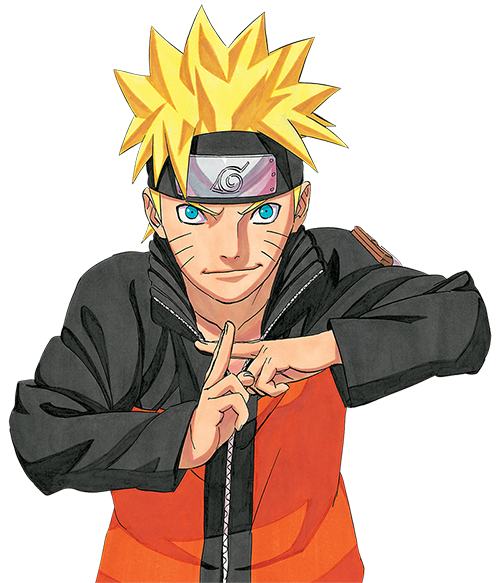 · With the newest addition, viewers can check out a total of 77 English dubbed episodes as well as the complete subtitled NARUTO anime (all 220 episodes) series! · Don’t miss simulcasts of the latest English subtitled episodes of NARUTO SHIPPUDEN every Thursday in December beginning with a special double premiere of Episodes 389 and 390 on December 11th. Single episode simulcasts of the next 3 NARUTO SHIPPUDEN episodes will take place every Thursday for the remainder of the month. · Also catch the action-packed addition of NARUTO SHIPPUDEN English dubbed Episodes 19-23, bringing the total number of available dubbed episodes of the series to over 100. · RANMA ½ fans can enjoy the addition of 2 new dubbed episodes of the classic martial arts comedy each week throughout December beginning with Season 6, Episodes 119-120 on December 5th and every Friday thereafter. Neon Alley is VIZ Media’s consolidated online destination for FREE streaming anime content in the U.S. with over 3,200 subtitled and English dubbed episodes and movies from more than 36 series! Neon Alley also reaches an expansive on-demand U.S.-based audience on Hulu, which enables viewers to watch shows anytime, anywhere across devices including Xbox One, PlayStation®4 (PS4™), Roku, Roku TV, Amazon Fire TV, Apple TV, Google Chromecast, and mobile devices. A full list of Hulu -enabled devices can be found at http://www.hulu.com/plus/devices.